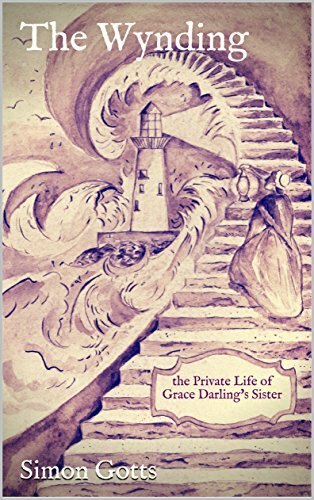 Today, David Bradley reminded me that it is the anniversary of the death of Grace Darling, and has marked the event with his own tribute to the heroine and a very interesting account of the circumstances of her heroism. It adds a useful piece of background to the novel that I'm reading at the moment. It is called The Wynding by my friend Simon Gotts, and very well written it is too. It's particularly good evocation of the life, times and an area of England that still seems remote to many today. A large part of this comes from the dialogue, and Simon has somehow managed to convey a strong accent that is not only convincing but understandable to the twenty-first-century reader too - very impressive. I've only managed to read a couple of chapters so far, but I'm hoping to catch up with this and some essential reading in Dewey's 24-hour reading challenge this weekend. Here is the rest of the pile: two novels, one pop-sci, one social history, a memoir and one that's maybe part psychology, part sociology. There's no way I'm going to get through all these, but like Mukulikaa Ananda, it's good to have some choice. There's a pub in the inner suburbs of Melbourne called the Grace Darling, and I never wondered where the name came from. Naturally the name in Australian (Strine) Is pronounced "grey starling". I remember there was a live monkey in the bar at one time.